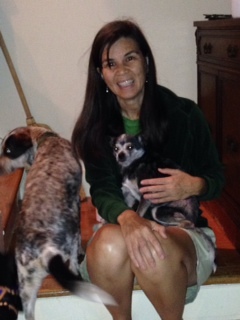 Flower was an Elfie's Refuge dog being fostered in Ohio. Flower had an upper respiratory infection and was treated by a local veterinarian. 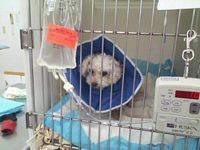 However, she had an adverse reaction to the medication she was given and ended up at the emergency vet getting IV fluids. Unfortunately, Flower has crossed to the Rainbow Bridge, but we're still working on assisting the rescue with the vet bill that was over $2,000. 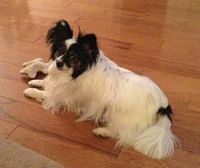 Preston is a PapAdopters dog who has an infection and significant bladder stones that he has had for years. Read his bio here. ​Rocky belongs to Destiny for Dogs. He was left in the night drop at Palm Beach County Animal Services. He had a broken leg and a severe skin condition. Poor baby was also heartworm positive. He loves his foster mom, who is shown in this picture with him and sticks to her like velcro. He's currently receiving heartworm treatment. His foster mom reports that until he finishes the HW treatment he will be too weak to undergo surgery or take any other medication. 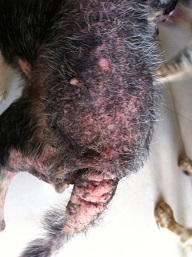 He has not been neutered, has a heart murmur, and severe skin problems. She is bathing him with a medicated shampoo to help with the skin issues but they are chronic and the vet said he has probably had it for years for it to get that bad. 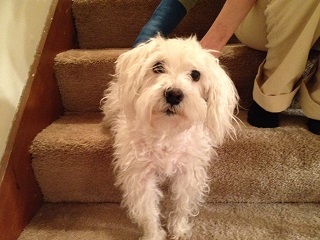 He has an old break in his leg that did not heal properly but the vet said he is not in any pain and has adjusted well to it so she did not recommend surgery to correct it at his age. Bonnie is a 10 year old Schnauzer. Unfortunately, Bonnie's mom lost her job and wasn't able to get Bonnie her yearly shots or examination. WAND stepped in to provide these for Bonnie.